I received a few emails and comments regarding the boots I was sporting on today's Oktoberfest post -- and lucky for you, they are still available online! Ian got these for me for my birthday this past year. I texted him from the shoe store with a picture of me wearing them, and he happened to be driving by the very same store. He pulled right in (without me knowing), came up behind me and surprised me, and bought them right there! I have those also! Love them! Um, does Ian have a single brother? Or cousin? Those are so cute! How sweet of Ian to do that. He needs to give my hubby lessons! Ok, love these!! I am desperate for a brown pair! Thse are both so cute! Thank you! 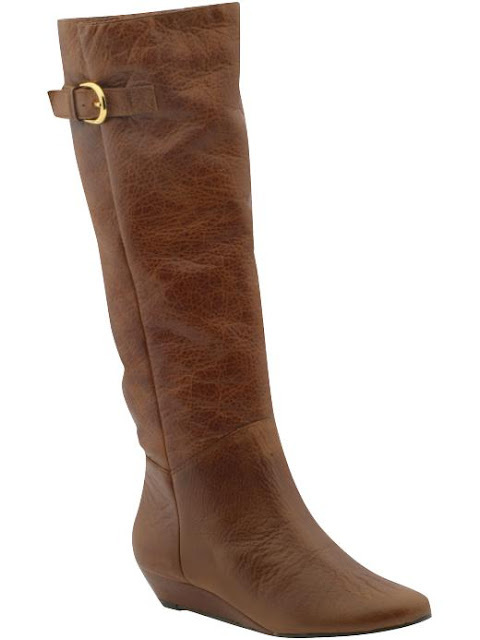 I've been on the hunt for a brown pair of boots for so long now - I am ordering these now!!! 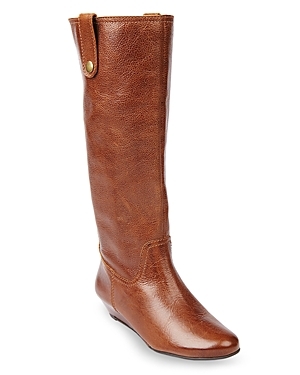 I cannot tell you how many times I have almost purchased these exact boots. Every pair I tried on had something funny going on with the leather or fit, so I have been hesitant to order them online. Still, they are one of my favorites. Thank you! I just bought a pair of the Steve Madden boots (and 2 necklaces and a pair of earrings I really don't need). I have these boots in black and I am obsessed with them! Sweet hubs!